My oldest daughter, ET, is home for Christmas. (She has been going to school on the mainland.) Everyone is happy to see her, especially her closest sister, GG . Unfortunately, these two manifest their affection for each other by “play” fighting all over the house. I’m calmly reading a book in my living room, and in my peripheral vision I see GG poke ET in the ribs and run away, giggling and shrieking as her sister chases her upstairs. We’re sitting down having a nice family dinner, and the two of them are trying to see who can pinch the other sister the hardest under the table. Their means of expressing affection for each other is killing their mother’s nerves. And that’s just at home! Just wait until you see what happens when we go out in public…. I keep seeing this tip on pinterest for filling big buckets. I finally decided to try it. Here;s the setup. The first problem I noticed is that my dustpan has a hole in the handle (for hanging it up). In fact, I believe every dustpan I’ve ever seen has a hole in the handle. Anyways, I switched on the water to try it. It turned out the water just filled the dustpan and flowed backwards onto the back of the sink instead of out through the handle. This is due to the fact that my sink is not sloped downwards. I’ll bet no one else’s sink is sloped downwards is either. 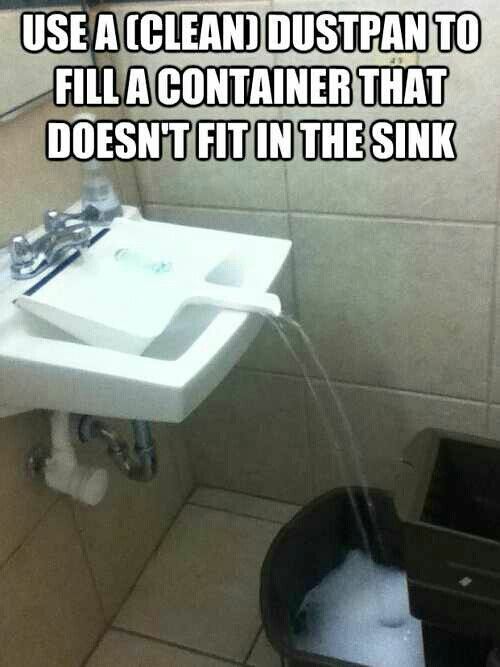 Because the point of a sink is to HOLD WATER IN, not dump it on the floor. So I tried to figure out how to prop the dustpan up so that IT would slope downwards. I jammed a plastic cup under the dustpan and tried turning on the water again. So the verdict is: This tip works, with some minor modification, but I think it’s more effort than really necessary. Have you ever ordered something from a catalog that looked nice in the picture and then turned out to be horrifically ugly when you received it? What had looked like a nice beige owl shape was actually a giant gold lame monstrosity. Its huge eyes seemed crazily drugged rather than pleasantly sleepy. The background color that had appeared a trendy teal and brown floral was inexplicably green and orange blobs instead. It was bad. Unfortunately, it was going to cost me almost as much as the horrid thing had originally been priced in order to return it to the mail-order company. Still… If I gave that thing to my niece I’d never live it down. I would be forever in family lore as the Aunt Who Gave the Worst Purse for Christmas. People would try anything to avoid having me draw their name in the family lottery. Should I give it to charity, I wondered? 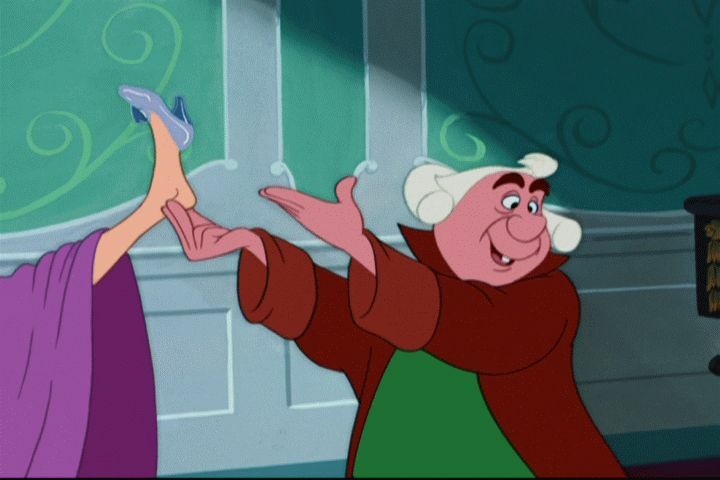 But I knew even the homeless wouldn’t want this thing. I decided to just pay to return it after all. And yes, I bought my niece a nicer purse. But to my surprise… It actually worked! 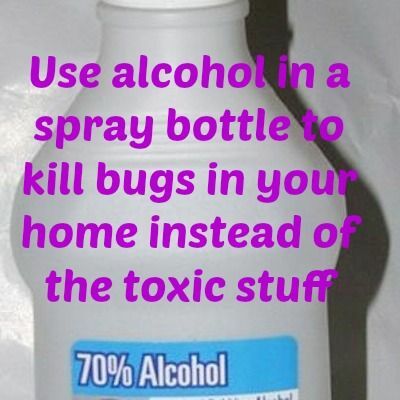 I sprayed the whole area with the alcohol and the ants all died. Then the alcohol evaporated and nothing was left behind but the dead bugs. Also it didn’t smell like bug spray, which was cool. 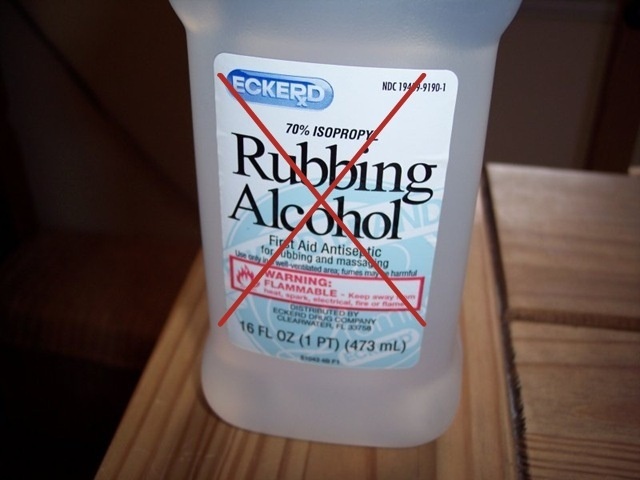 Apparently there are a whole lot of other things you can do with rubbing alcohol. Check out this blog if you are interested. Rubbing alcohol is toxic and its use and production is terrible for the environment. It is NOT a green cleaning agent. Isopropyl is made from fossil fuels and ethanol-based rubbing alcohol is adulterated with methyl ethyl ketone and acetone. So, I guess I can’t pat myself on the back for being “green.” Oh well. But it was cheaper and better smelling than bug spray and that works for me. Posted on December 23, 2013 December 24, 2013 Categories HomelifeTags cleaning, pinterestLeave a comment on Bug Spray Alternative? Yes. This really exists. I laughed out loud in the toy aisle of WalMart. #3. Any more Barbie dolls. Okay, you caught me. Between my daughters we have enough Barbies to fill a Bieber concert, and they are getting several more this Christmas. I‘m a sucker for pink glitter. I was waiting in line at the drugstore when the cashier asked the lady in front me for her ID. She was required to actually get the ID card out so it could be scanned into the register. The cashier had trouble scanning it in and the manager was called. The military ID was exchanged for a drivers’ license. Confusion ensued as the manager tried using the laser scanner, the credit-card swipe, and finally manually entering the ID number. I wondered also. There were no cigarettes or alcohol among the items. Apparently it’s a controlled substance now. Along with spray paint and sudafed. Because you never know when someone will try to get high off of ordinary household items. Another lane opened and I was able to purchase my own things, but when I left the cashier and manager were still trying to get permission form the register so that this poor lady could remove her nail polish. “Good luck!” I told her. Is that picture weird or what? Seriously. It looks like Barbie meets Magilla Gorilla. I was skeptical of this tip, to say the least. But I dutifully went to the drugstore and purchased 2% iodine and baby oil. 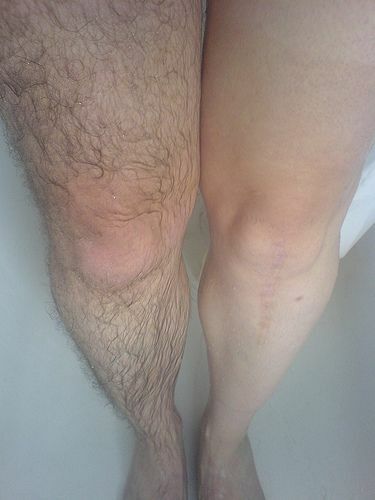 In preparation for this experiment, I also grew my leg hair for a week. Is that dedication, or what? Baby oil and iodine do not actually mix; it just makes oil with brown blobs in it. Iodine stained my white sink with brown splotches. My legs were still hairy. My conclusion? DON’T try this. It is not “worth a shot.” I had to soak and scrub the sink like crazy to get that stuff off. On a more positive note, another pinterest tip worked slightly better. Almost a week since I’ve shaved and I have stubble is at a minimum. Lifesaver!! 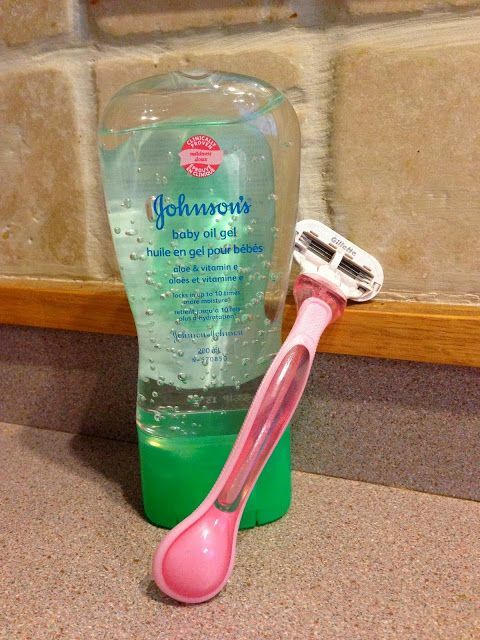 Ladies: put down the shaving creams and gels, use baby oil gel. It will change your shave game. I had never heard of baby oil gel, but it was in the drugstore next to the regular baby oil I bought above. This worked well, although the gel clogged my razor and did not just rinse off. The razor cleaned off easily enough with soap; however, I sliced my hand open washing it. And it did keep my legs smooth for an extra day or two. The above claim of a week with no stubble is just ridiculous. Anyways, the moral of this story is: If you want to get rid of unwanted hair: JUST SHAVE IT OFF! My third daughter (Boo) turned eleven this week. So on Boo’s birthday we did this, and when I woke up GG (age 13), I saw her grab a homemade birthday card from her dresser. I thought “How wonderful! She’s made a card to give her sister.” It was really touching.